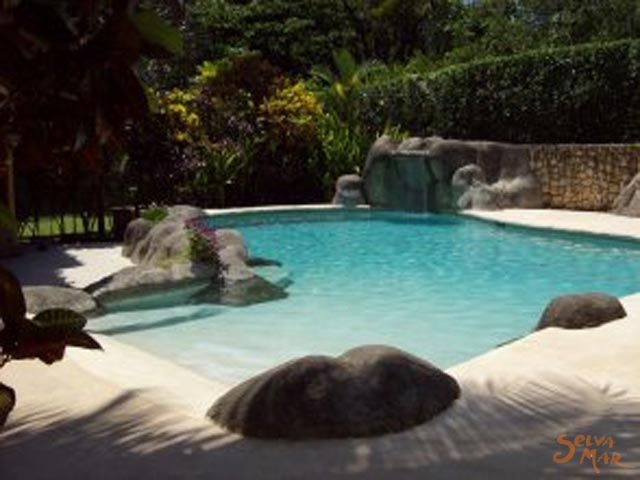 Located only 1,300 feet from the center of Puerto Viejo and 300 feet from the beach. Enjoy the pure nature with all the amenities that are available in town; Restaurants, discos, great shops, and more. 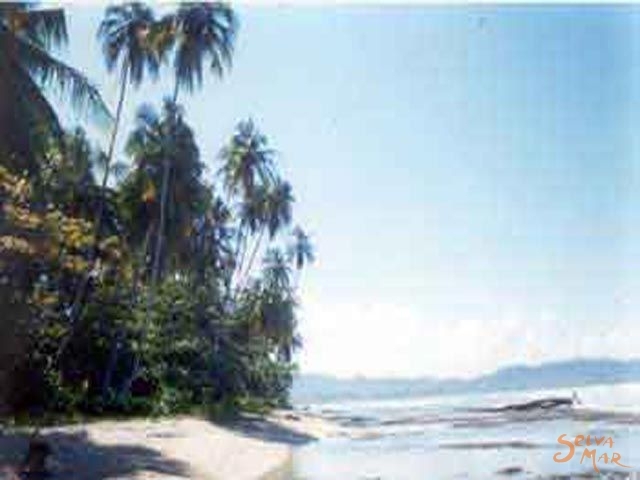 Bungalows Calalu are situated in Puerto Viejo de Limon, a little fisherman town bathed by the Caribbean sea and surrounded by a dense jungle, we offer all the commodities for you to enjoy and relax surrounded by tropical nature and it's afro-Caribbean magic. 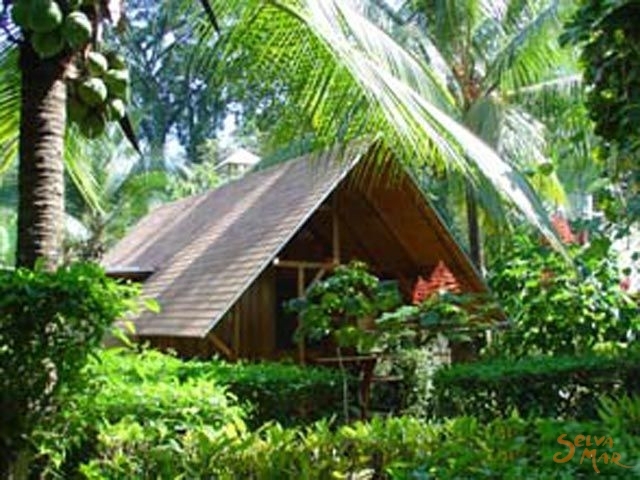 BUNGALOWS CALALÚ are surrounded by a beautiful tropical garden with exotic flowers which gives you the privacy you want surrounded by natural beauty. Our pool offers a beach-like entrance, a waterfall, and more. 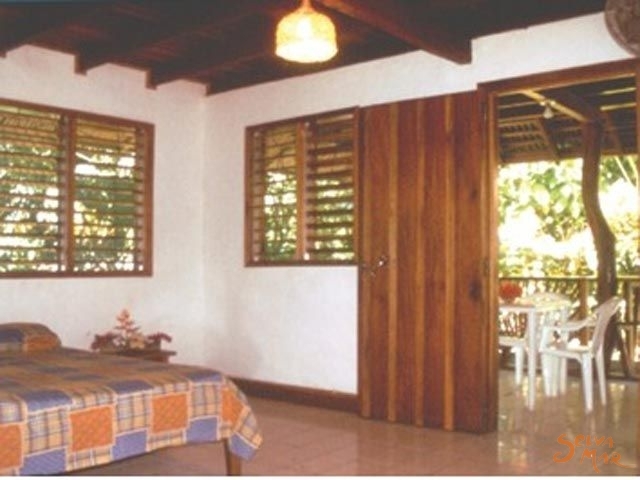 All the bungalows are equipped for your comfort with large verandas, with or without kitchen, screened windows, fan, and private bathroom with hot water. Walkways surrounded by beautiful flowers to lead you to your bungalow where you have your own garden. All of our property is with the thought to satisfy your senses with natural beauty. At our reception area you can get all the tour information you will need to get to know the Caribbean: Waterfalls, jungle beaches, animals and flowers , and of course our own butterfly garden where you can discover their wonderful world and their beauty.